I'll be the first one to admit that back in my teenage years (yikes college too!) I was a fan of tanning beds. I found them relaxing to lay down in, affix my heart sticker (to see how tan I was getting) and chill out listening to music. Luckily I came to my senses that doing this to my skin was not only awful but it was harmful to my health. So now to get that faux glow I've become a fan of spray tanning for special occasions and wearing bronzer daily. Seriously, I don't leave home without it on. I purchased this last year and it's been my go to. I liked how it had a small amount of sparkle in it. It's marked down to $24.50 now but looks to be out of stock (possibly discontinued?). Which of course is when I am starting to run out of it. I have always been a big fan of NARS (especially this blush!) So I think for 2015 this will be my go to. Anyone use it? Love it? Hate it? It has a rating of 5 stars with almost 3,000 reviews! Do you have a favorite bronzer? Do tell! 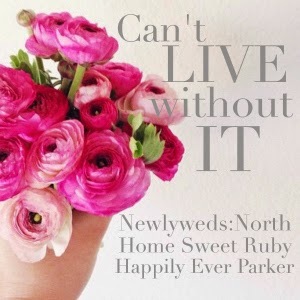 Your turn to link up with Stephanie, Caitlin & myself to tell us what you can't live without! Grab the button and link below! 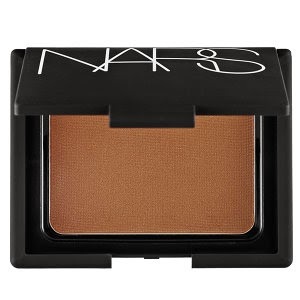 I love Nars blush too but have never tried the bronzer! I wish I could perfect the HAC. I'll be the one over here with the chubby looking, pale face. ha! 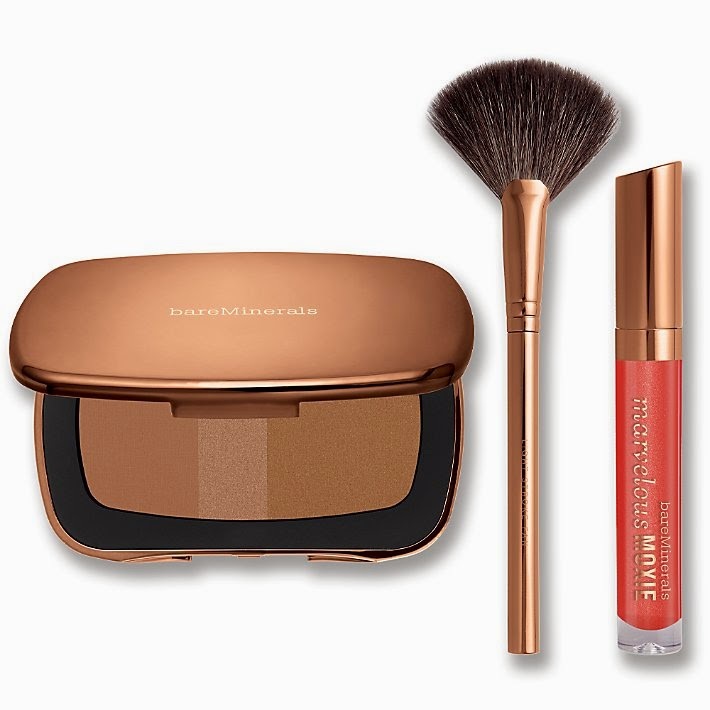 Ooh, I am a big fan of MAC's bronzers, but that Bare Minerals may be calling my name! bronzer is a must considering I typically hide from the sun and this pale girl is in desperate need of something new! I def need to start tanning asap. And by tanning I mean slathering on that Jergens tanning cream! I don't like putting that stuff on my face though so bronzer is a MUST. Bronzer is my best friend! I'll have to look into these two though. NARS really is one of the best brands out there and the quality is amazing. I need some more face color in my life! I’ve been trying to decide what bronzer to try next and I think you’ve sold me! Once I tried Nars Laguna......nothing compares I am in love with it! I used to tan ALL the time, and I honestly didn't completely quit the fake baking until a year ago. And you know what I realized? I don't even actually get all that pale. All those years of damage were SO unnecessary! Have you ever tried hoola bronzer? That's the only one I've used for the past couple of years. I also use Clarins self tanner, just on my face though...it seems to get pale unlike the rest of my body.